When Apple moves to acquire a smaller company, the surest thing to follow is the integration of that business into one of its many offerings. So when the news came that the Cupertino giant bought LinX for $20 million, it was easy for anyone to conclude that Apple will be consolidating the technology into its imaging products. LinX develops cameras with small build but whose performance is at par with those of high-end shooters. The company designs its cameras with a keen focus on a number of pillars for quality such as proper exposure in low light environments, shutter speed and color accuracy. LinX boasts its products as edging close to the DSLR performance while retaining its target for mobile devices. But the most remarkable feature of LinX cameras is its capacity to create three-dimensional image maps using multiple images it captures simultaneously using algorithms. If the acquisition pulls through, it will mean greater things for the cameras on iPhones and iPads. It will be Apple’s distinguishing factor from the rest of smartphone makers that continue to build thinner phones, which forgoes the quality of digital imagery. That is so because the thinner the camera, the smaller the sensor, sacrificing the quality of photos as a result. In contrast, LinX has built innovative technologies into its camera that separates it from the traditional mobile photography. 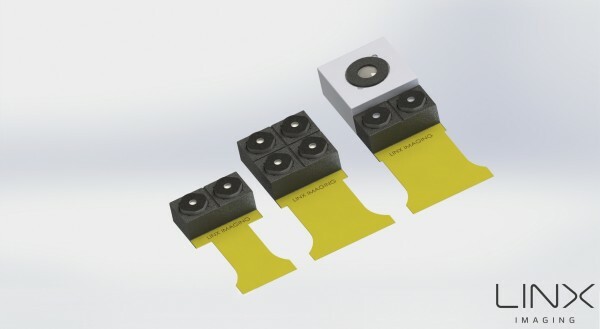 For example, LinX substituted one large sensor with more than two smaller sensors to minimize the height of the device, without sacrificing photo quality. Its camera also uses a monochrome sensor in order to heighten its light sensitivity. Then there’s low noise level in every LinX-captured photo, even in low-lit areas. Users can also be assured of crisp, sharp photos, thanks to the 200 lux at max of fast exposure, even with indoor shots. The multi-aperture camera is also responsible for the 3D map mentioned above. During video mode, the camera performs high-quality autofocus, refocusing and object sizing. But Apple has yet to confirm whether it plans to integrate all these features into existing or next-generation mobile devices. In an era where digital, specifically digital mobile photography, is fast gaining traction among younger generations, it makes sense for Apple to invest heavily in this area, lest it gets surpassed by rivals. With LinX now folded into the Apple family, there is now a lot of room for ramping up the camera performance of iPhones and iPads. The LinX buy is just one of the many steps Apple has taken to improve the image quality of the iPhone, but perhaps this is the best move so far.